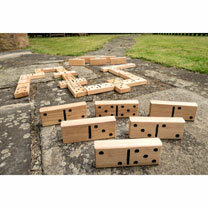 A giant game of numerical skill. 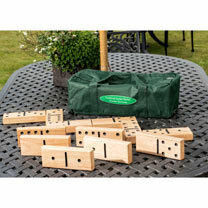 Challenge your family and friends with the premium wood supersized dominoes set. This is a classic game of the highest quality. Presented in a canvas storage bag. 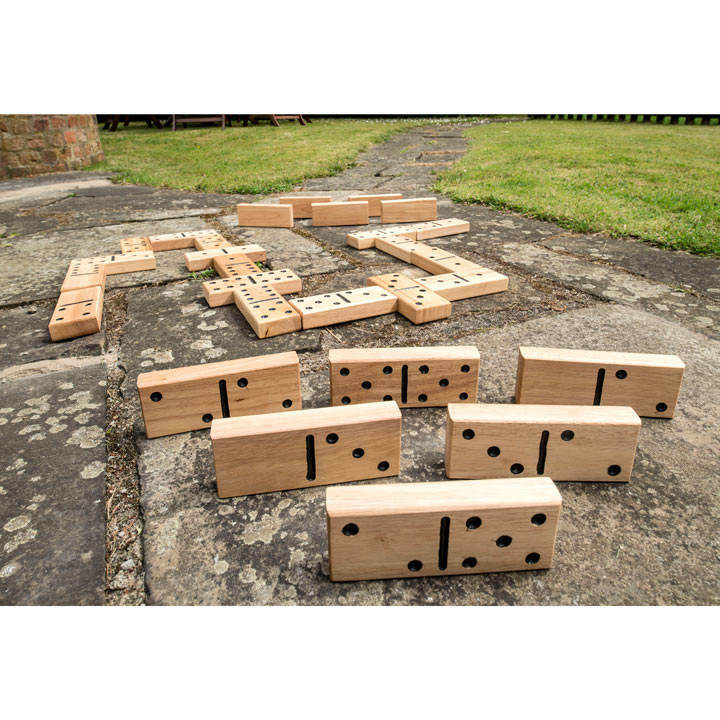 Each domino measures 18 x 3 x 7cm. 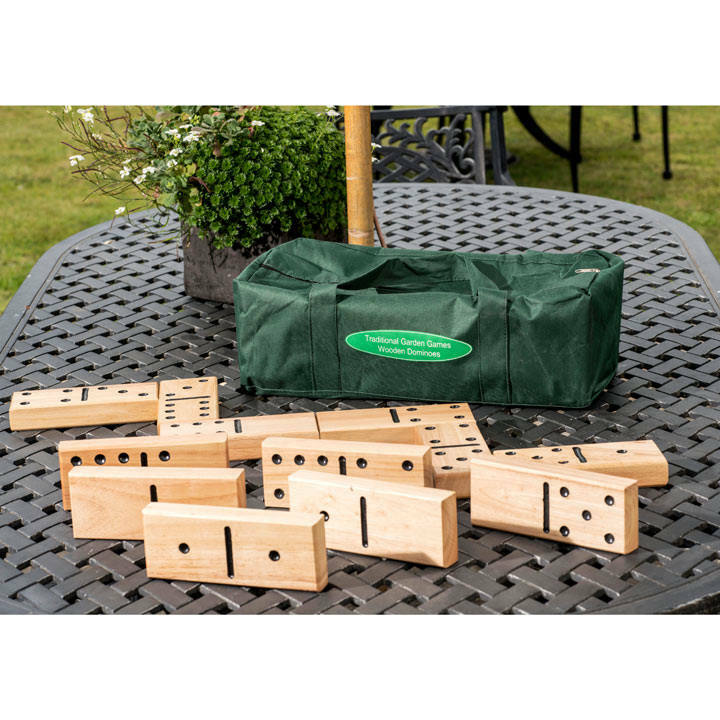 28 dominoes supplied in a canvas bag, full instructions included. Ages 3+.